Fitbit has a pristine balance sheet to help the wearables company navigate a developing sector. The company bought the correct technologies to advance product development, but has failed to correctly integrate the assets. The opportunity still exists to grow on several fronts, making the stock a speculative buy on the Q4 induced weakness. My investment thesis on Fitbit (FIT) has long held that the stock was a worth a gamble around $5 do to the option to benefit from the potential in the wearables market. Based on 2018 guidance, the stock remains a solid gamble and far from trouble. Read the full article on Seeking Alpha. Synergy Pharma continues to grow extended prescription units for Trulance. Competitor drug Linzess produced a highly profitable Q4. Trulance prescription growth appears to lag the revenue estimates, especially in Q1. With financing in place and a spring ramp in prescriptions, the stock is positioned for buying any weakness related to missing revenue targets. With all of the drama surrounding executive leadership and cash burn at Synergy Pharma (SGYP), the market hasn't focused as much on the prescription data of Trulance. The stock has held close to $2 suggesting healthy investor appetite for the biotech at this level, but meeting 2018 targets could create further weakness in Synergy Pharma providing an opportunity to own the stock at lower prices. Read the full article on Seeking Alpha. Disclosure: Long SGYP. Please review the disclaimer page for more details. Glu Mobile should turn profitable in 2018. Consistent growth from live operations of franchise games has turned the company around. The stock still trades at an extremely low valuation. The quarterly results came and went, yet Glu Mobile (GLUU) outlined a solid 2018 plan that hardly includes the recently released Taylor Swift game. As my previous research presented, the mobile-game developer has a growth plan that doesn't rely on new games that will drive the stock price higher. Any future big hit is only a bonus. Read the full article on Seeking Alpha. Disclosure: Long GLUU. Please review the disclaimer page for more details. Novavax (NVAX) is expected to provide data this week for the Phase 1/2 flu study. The only problem is that the results were originally expected by the end of 2017. Zynga has started generating consistently solid cash flows. The company maintains a large cash balance and other valuable assets. The stock valuation remains cheap with a large gap between a leader in the sector. For the longest time, business TV hosts have joked about a company being the next Zynga (ZNGA) in reference to a stock that was overhyped and should've never gone public. The joke is finally on the TV hosts that haven't kept up on the emerging story. As long as the market view doesn't adapt to the new realities of a nicely profitable company, value will exist in the stock. Read the full article on Seeking Alpha. 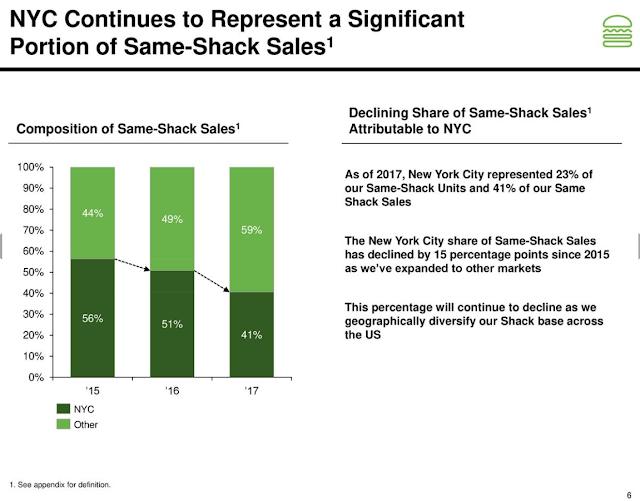 As Chipotle Mexican Grill (CMG) becomes a shell of itself by hiring the CEO from Taco Bell and struggling to recover from the health scare, the restaurant concept with the attractive growth prospects now is Shake Shack (SHAK). Baidu remains a hidden tech giant in a market of $500 billion global giants. The Chinese search leader is returning to 30% revenue growth. The company has several hidden assets that the market is currently not ascribing any value. After a few years in self-imposed purgatory due to surging costs on new initiatives, Baidu (NASDAQ:BIDU) is finally back to generating the massive profits from substantial revenue growth of the past. The combination of dumping the high-cost services businesses and a return to a healthy search market has the internet search giant of China back onto a path to higher stock prices. Read the full article on Seeking Alpha. Disclosure: Long BIDU. Read the disclaimer page for more details. Under Armour reported Q4 results that beat the worst fears. Margins remain under pressure, but the market missed the turnaround story and ultimate value of the brand. New footwear platform has a promising start while the stock trades at a compelling valuation in comparison to peers. Most importantly, the chart and P/S ratio suggest the stock heads higher. Investors missing the opportunity to own Under Armour (UA, UAA) below $15 the last few months completely overthought the story. The company now has a turnaround in place and the opportunity exists to invest in the founder attempting to make the athletic apparel maker great again. Read the full article on Seeking Alpha. Square cooled off following another run towards $50 due to the Bitcoin craze. The company is unlikely to attract large Bitcoin trading volumes as other services already corner the market. The valuation remains stretched as revenues aren't even set to top $1 billion for 2017. Square (SQ) was trading back towards the all-time highs near $50 due to more excitement around Bitcoin before the market collapse. The stock valuation remains aggressive considering the limited utilization of the Cash App and the crashing value of cryptocurrencies. Square has now failed on two runs at $50. Read the full article on Seeking Alpha. Disclosure: No position mentioned. Please review the disclaimer page for more details. Did The Broadcom CEO Make A Convincing Reason For Qualcomm To Accept Offer? The CEO of Broadcom (AVGO) went on CNBC to discuss the $82 offer to buy Qualcomm (QCOM). Depending on the day, the offer is about a 30% premium above the current price. Broadcom CEO: Our offer for Qualcomm is compelling from CNBC. As Cramer points out, Qualcomm has a plan on the table to boost FY19 profits to about $7 per share. The offer isn't that compelling if the wireless giant can achieve that growth. Do you find the offer as compelling? Qualcomm has multiple paths to a higher stock price. Elliott makes strong case for a $135 deal price and Qualcomm can probably afford to pay the higher price. Either way, the lingering NXP Semi. deal is holding back EPS growth as Qualcomm had additional path to boost EPS numbers. As the outcome of the NXP Semi. (NXPI) merger lingers on, Qualcomm(QCOM) shareholders just want closure on the deal. The company has multiple paths to higher earnings, but the NXP Semi. deal must get out of the way first. Read the full article on Seeking Alpha. Twitter surprised the market with a big Q4 earnings beat. 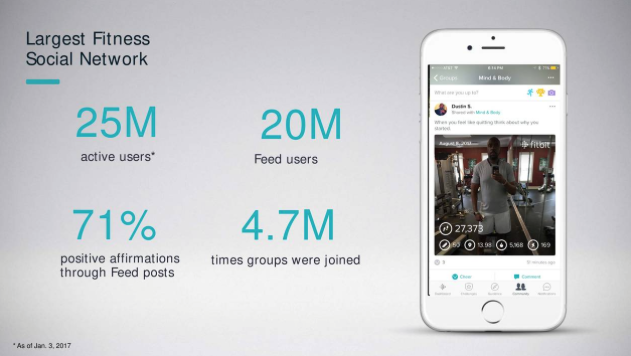 The company continues a trend of double-digit engagement growth. Higher monetization rates will propel revenue growth in excess of user growth. The valuation remains attractive due in big part to the monetization gap with peer Facebook. The amazing disconnect between engagement growth at Twitter (TWTR) and the stock price came to an end over the last month with the surging stock price after reporting Q4 numbers. The company has now unlocked the ability to tie engagement growth into a cash flow machine that will drive the stock even higher. Read the full article on Seeking Alpha. Snap reported improving revenue and user trends, but investors need to dig further into the financials. The company hasn't figured out a way to reduce cash burn to acceptable levels. The stock trades at a wild multiple of sales with the stock now worth nearly $30 billion. Investors need to be careful following the analyst crowd. Snap (SNAP) surged nearly 50% the day following Q4 results that beat analyst estimates. The important numbers though showed no significant improvements warranting a sudden positive change of opinion in the stock suggesting that investors need to hit the brakes on this rally. Read the full article on Seeking Alpha. Synergy Pharmaceuticals hits cash target to obtain additional debt financing. Management didn't clearly outline the path to achieving the target. The company now has financing to reduce the investment risk and allow for negotiating an ex-US sales deal. Synergy Pharmaceuticals (SGYP) got the financing news long awaited and the stock is still trading at the lows. My theory is that the lack of transparency with hitting the cash target to obtain additional financing is holding back the stock and might finally provide an opportunity to own the biotech now trading slightly above $2. Read the full article on Seeking Alpha.